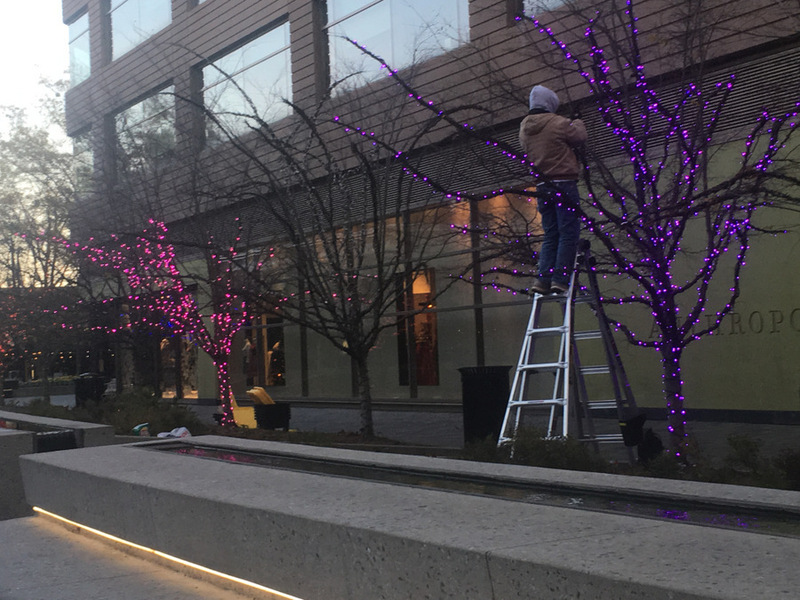 Hanging of the lights in One City Plaza 5 pm Nov 27. This prepares the downtown for events such as the Night of Lights which will take place tonight near City Hall and includes a Christmas tree lighting ceremony. It’s being done here as well. The trees around the bigger sites get lit on December 6th, I think.